Aren’t you glad you come here? Where else could you get such fascinating news as this? Nowhere, trust me. A recent post about the death of a fly by my hot bloggy friend, A Vapid Blonde, reminded me of the torture we used to inflict as children on flies by making them pilots of small planes. Criminal profilers say torturing small animals and insects is first act of future serial killers. Just a bit of foreshadowing that probably explains a lot about me now. And probably why I blog. After capturing the fly, giving it a light freezing, it was then glued to the top of the airplane. Once the fly thawed out, we watched with glee as the unwitting pilot flew the tiny plane around the living room. Sometimes the plane was too heavy and we’d have to start over with a new fly and a new plane. I can’t count how many flies we put through this torture. But at the same time we used to feed the opossum that came to the back yard, and the ducks at the park.If only the flies had been ducks. Or maybe not. I don’t make “fly” airplanes, or kill bugs anymore (most of the time). Now I blog. It keeps me off the streets. Most of the time. The good news is with the coming Zombie Apocalypse the flies, and all bugs we’ve killed, will come back as Zombies. 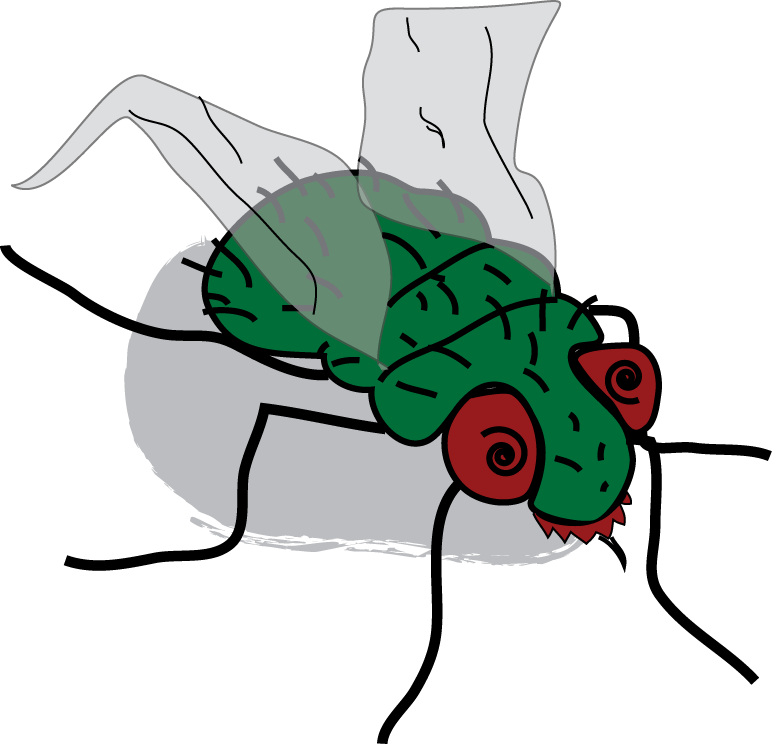 Zombie Fly Returns. Be careful what you squish today. It just may come back tomorrow. As a zombie. They probably won’t look this good. I hope they don’t hold a grudge. I love this because it is so twisted and Holy Crap, I want you to make a video of a fly piloting your paper airplane, but you need to put a little J-lo in there as a passenger and let her throw tiny fits at the stewardess that will either be the guy who called some one a mother fucker or the other guy who gave the baby some valium. LOL I need to make that video! But can we just throw J-Lo out of the window? We can give her a parachute if we have to. Ok, this is a new one even for me. Flies have been in my life recently. We had something die in the walls and one day I came home to about 100 flies in my house. Nasty beyond words! Well I went ballistic with the newspaper roll, and my boys went out and bought a fly gun. Yes, there is such a thing. It shoots a round, fly swatter type object. It’s kind of fun. Of course they also shoot their dart guns at the flies too. They have a rubber tip that sticks to windows, etc. Anyway, the flies are gone, but I hate those gross little buggers. Eeeew! That reminds me of the last time my father remodeled his house. the plumber FORGOT to cap the sewer line. No one knows this, we smell nothing. Two months go by, and the house starts to fill with small drain flies (aka sewer flies). At first just five a day, sometimes we’d catch them coming out of the sink drains. Everyday they would be sucked up in the vacuum, but we couldn’t find out where they were coming from. There were about 100 a day and my dad was pissed. He finally crawls under the house and finds a river of toilet water (nope, not the perfume kind) flowing under the house. Needless to say, the contractor got an earful. It took a massive cleanup effort and fumigating, but the flies are gone. Thanks, I’ll check out the podcast. Hope you had a good weekend, too! Most definitely! Everyone had fun. Except maybe the flies. Fly circus!! Great idea! Hmm… now all I need is a little trapeze.